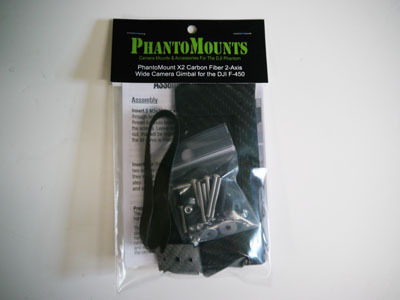 The PhantoMount X2 F450 gimbal frame and mounting plate is made of 1.5mm carbon fiber. Designed to work on many platforms this gimbal utilizes two HiTec 5245MG Digital Ball Bearing servos (sold separately) directly mounted to both the pitch and roll axis of the camera. 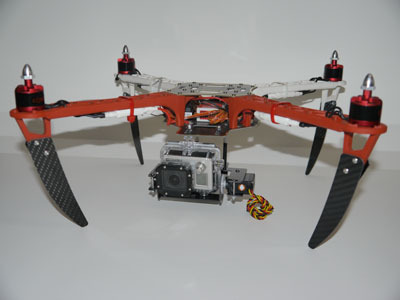 This reduces overall weight, moving parts and greatly simplifies the design of the gimbal. Purchase the carbon fiber F450/550 Flamewheel Legs to raise your F450 3.25" off the ground allowing 1.5" of clearance between the bottom of this gimbal and ground. 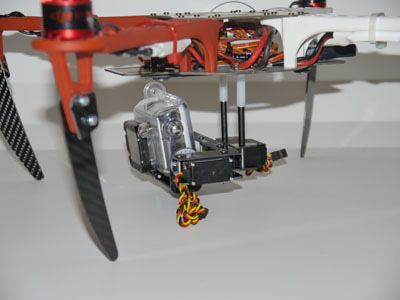 Utilizing the Gimbal Stabilization built into the DJI Naza or Wookong flight controller you can directly power and control the gimbal. No additional expensive stabilization controller is needed. Installation onto your DJI F450 is easy too. 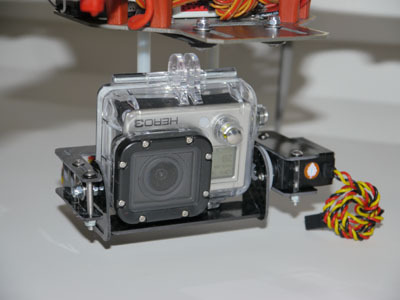 Attach legs to your Flame Wheel and, mount the gimbal to the bottom of your DJI F450 with the included hardware and connect to your flight controller. Set up and tune the gimbal in the DJI Assistant Software and film where you fly! The X2 Wide version of the PhantoMount gimbals is intended for flight with your GoPro out of case for FPV, in its protective case (no FPV) or, out of case no FPV.